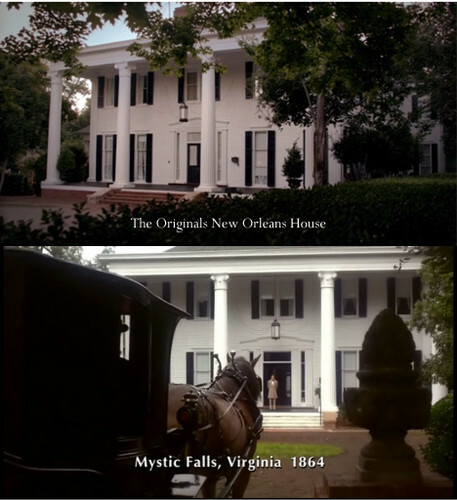 The Originals' house / The Salvatores' birthhouse. *head down in shame* yes I looked it up it was bugging me if it was the same house oder not. Seriously? LOL!. Wallpaper and background images in the The Originals club tagged: the originals the vampire diaries. *head down in shame* yes I looked it up it was bugging me if it was the same house oder not. Seriously? LOL! This The Originals photo contains walmdach, hüftdach, satteldach, bungalow, hütte, ferienhaus, and villa. There might also be villa, herrenhaus, das pfarrhaus, flur, residenz, wohnsitz, pfarrhaus, halle, reihenhaus, stadthaus, ranchhaus, and ranch-haus.